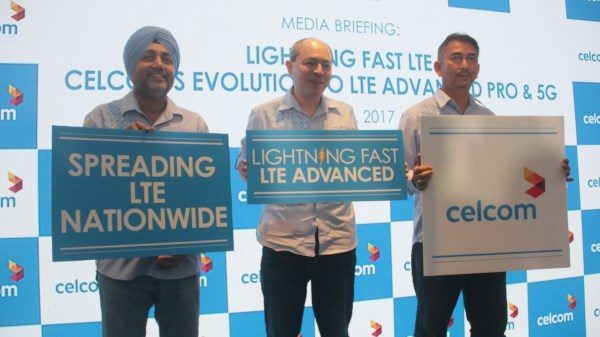 Celcom Axiata Berhad has unveiled its LTE-Advanced Pro network called Lightning Fast LTE, offering Internet speeds beyond 400Mbps (depending on the device capability), from August 2017 onwards. The Telco said that by the end of 2017 it will have a population coverage of 85% for 4G LTE (with around 8,000 plus base stations), 40% for 4G LTE Advanced and 10% of Lightning Fast LTE (LTE-Advance Pro), nationwide. 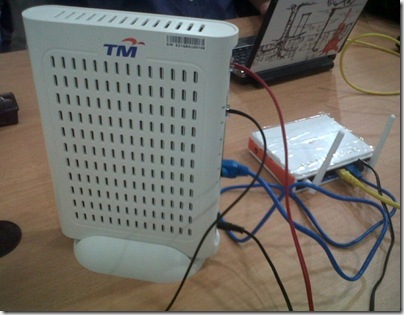 At the moment there are some 2,000 4G LTE base stations in the Klang Valley alone. As of December 2016, Celcom 4G LTE population coverage stands at 76% nationwide and 50% indoor coverage, it claims. 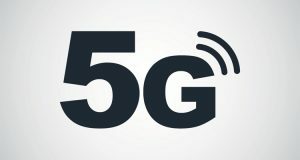 LTE-Advanced Pro (LTE-A Pro), also known as 4.5G is a pre-5G technology that offers mobile Internet up to the Gigabit speed level, as well as further reduce latency. One of the major features of LTE-Advanced and LTE-A Pro is Carrier Aggregation (CA), which allows mobile network operators to combine a number of separate LTE carriers. With Carrier Aggregation, Celcom is able to utilise all the spectrum (radio frequency) it has, including in the 1800Mhz, 2.6Ghz bands, combining them to deliver faster Internet speeds on supported devices. Celcom has already enabled Carrier Aggregation for its LTE-A network, currently with speeds up to 300Mbps on supported devices such as the Samsung Galaxy S7 Edge. Advanced Carrier Aggregation in LTE-Advanced Pro will increase the number of different carriers (frequencies) that can be simultaneously supported from 5 (under LTE-A) to 32 (in LTE-A Pro). 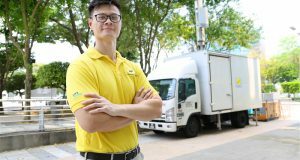 The Telco said its Lightning Fast LTE network uses state-of-the-art 4-transmit-4-receiver (4T4R) technology which enables the latest 4×4 multiple-input and multiple-output (MIMO) on devices such as Samsung Galaxy S8 (Cat16 1024/150 Mbps), Samsung Galaxy S8+ (Cat16 1024/150 Mbps) and Huawei P10 Plus, with more devices to be made available this year. As of January 2017, according to the GSA, 17 mobile operators around the world have upgraded to LTE-Advanced Pro including in Indonesia (Telkomsel), Australia (Telstra), South Korea (SK Telecom), Hong Kong (Smartone), USA (T Mobile), Russia (MTS) and more. More than 100 operators have trialed the technology so far. In regards to the recent Facebook outage, Celcom said it has upgraded its Facebook bandwidth capacity in the network. Responding to questions from MalaysianWireless, Azizee Abdul Aziz, Celcom’s Head of Network Planning & Engineering revealed that Celcom’s Facebook Peering capacity at the moment is around 20Gbps with an additional 20Gbps capacity being added this week followed by another 40Gbps by end of July (total 80Gbps). As for Facebook Caching within the Celcom network, the Telco has upgraded from 10G to 20G, with plans to increase it to 50G by June or July. Facebook Caching allows the Telco to store (cache) the most popular Facebook contents on Celcom servers, allowing faster loading time for customers. At the moment, some 80% of the Celcom-Facebook bandwidth are being utilised. Azwan Khan Osman Khan, Deputy Chief Executive Officer, Business Operations, Celcom Axiata Berhad said “The Lightning Fast LTE transmission speeds up to and beyond 400Mbps will enable seamless browsing experience for the download of HD, 2K and 4K multimedia quickly, without having to compromise on quality,” he said, adding that it represented a milestone on Celcom’s technological roadmap towards the 5G technology. Azwan said the past few months have been an intense period of preparation to ensure that Celcom is ‘infrastructure ready’ to make this exciting service available to its customers and the market, in general. 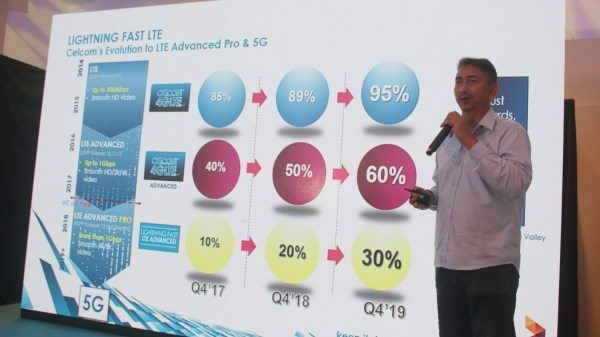 He emphasised that improving the network coverage, quality, reliability with a continued focus on LTE Advanced, will remain key areas of investment as the Celcom network evolves towards LTE-Advanced Pro and 5G. 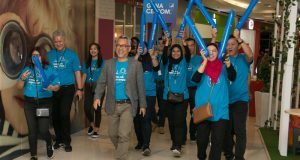 “Ultimately, the launch brings Celcom closer to being able to deliver 5G network speeds to our customers, in the near future. We will continue to bring substantial enhancements to the wireless network. We have set our sights on LTE Advanced Pro to achieve this. Azwan also mentioned that Celcom will be trialing 5G technology next month but no further details were revealed. Representative of Ericsson were present at the media briefing. Ericsson and Huawei are the main network infrastructure partners for Celcom.